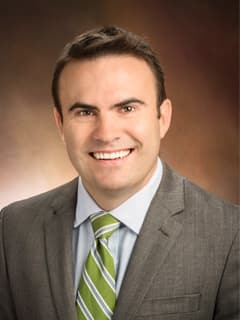 Jordan Swanson, MD, MSc, is an attending surgeon in the Division of Plastic and Reconstructive Surgery at Children’s Hospital of Philadelphia with special clinical expertise in cleft, craniofacial, and pediatric plastic surgery. Jordan Swanson, MD, MSc, is an attending surgeon in the Division of Plastic and Reconstructive Surgery at Children’s Hospital of Philadelphia who specializes in treatment of infants, children, adolescents and adults. Dr. Swanson focuses clinically on achieving optimal function and appearance of the face and head, and treats patients with cleft lip and palate, craniofacial, and other congenital, acquired and traumatic conditions. He specializes in cleft lip and palate repair, cranial vault and facial reconstruction, craniomaxillofacial distraction osteogenesis, rhinoplasty, otoplasty, and maxillo-mandibular (orthognathic) advancement, microsurgery, as well as minor pediatric plastic surgical procedures. In consultations and surgery, he brings attention to anticipating growth and development, striving to optimize treatment timing and procedure selection accordingly. Dr. Swanson has pioneered several techniques which improve the detection of craniofacial conditions, such as elevated intracranial pressure associated with craniosynostosis, which enable more expedient diagnosis and less invasive surgical treatment for certain patients. He is also one of few providers experienced in ear reconstruction using not only autologous cartilage but also porous polyethylene (MedPor) ear constructs, which enable ear reconstruction in fewer stages and at a younger age. Prior to practicing at CHOP, Dr. Swanson lived and worked in Nicaragua, collaborating with Operation Smile and the Nicaraguan Ministry of Health to build a joint Comprehensive Cleft and Craniofacial program. The program, based in Managua, treats children throughout the country with adaptive clinical and outreach programs staffed by an interdisciplinary team of Nicaraguan clinicians. He also serves as Director of Surgical Innovation at Operation Smile, in which he co-leads development of clinical training programs, surgical research, and clinical program design specific to lower-resource settings. He has lectured and led surgical training programs in Latin America, Asia, Africa, and the Middle East, and is a faculty advisor to the Penn Global Surgery Group. Dr. Swanson’s innovation and research initiatives are focused principally on how surgical care can be better adapted to children in low-resource settings, through design of clinical devices and techniques, locally driven leadership and team capability strengthening, and reorienting care pathways appropriate to local contexts and resources. In parallel, these initiatives are also generating insight into less-invasive, patient-directed advances for surgical care delivery in tertiary settings. He is the primary investigator of the Cirugia Para el Pueblo pilot program, implemented by Operation Smile in partnership with the Nicaraguan Ministry of Health to advance the access to and impact of rural surgical care in Nicaragua. Dr. Swanson studied the History of Science at Harvard College, and trained as a physician at the Johns Hopkins School of Medicine. He trained as a plastic surgeon at the University of Washington and Seattle Children’s Hospital, and completed his craniofacial surgery fellowship at the University of Pennsylvania and the Children’s Hospital of Philadelphia. He was also the recipient of the Tsao Fellowship in Global Surgery, and holds an MSc in International Development Management from the London School of Economics. Dr. Swanson is an Assistant Professor of Surgery at the Perelman School of Medicine at the University of Pennsylvania. He sees patients at the Children’s Hospital of Philadelphia and the University of Pennsylvania hospitals, and is a plastic surgeon at the Shriner’s Hospital for Children. Naran S, Swanson JW, Ligh CA, Shubinets V, Taylor JA, Bartlett SP. Sphenoid Dysplasia in Neurofibromatosis: Patterns of Presentation and Outcomes of Treatment. Plast Reconstr Surg. 2018 Oct;142(4):518e-526e. doi: 10.1097/PRS.0000000000004779. Lin LO, Zhang RS, Mazzaferro DM, Hoppe IC, Pearl RL, Swanson JW, Bartlett SP, Taylor JA. Influence of Repaired Cleft Lip and Palate on Layperson Perception following Orthognathic Surgery. Plast Reconstr Surg. 2018 Oct;142(4):1012-1022. doi: 10.1097/PRS.0000000000004778. Zhang RS, Lin LO, Hoppe IC, Wes AM, Swanson JW, Bartlett SP, Taylor JA. Evaluation of parental and surgeon stressors and perceptions of distraction osteogenesis in pediatric craniofacial patients: a cross-sectional survey study. Childs Nerv Syst. 2018 Sep;34(9):1735-1743. doi: 10.1007/s00381-018-3827-5. Epub 2018 May 11. Liang F, Leland H, Jedrzejewski B, Auslander A, Maniskas S, Swanson J, Urata M, Hammoudeh J, Magee W 3rd. Alternatives to Autologous Bone Graft in Alveolar Cleft Reconstruction: The State of Alveolar Tissue Engineering. J Craniofac Surg. 2018 May;29(3):584-593. doi: 10.1097/SCS.0000000000004300. Review. Swanson JW, Swanson MA. Strengthening Evidence in Cleft and Craniofacial Surgery. J Craniofac Surg. 2018 Mar;29(2):302-303. doi: 10.1097/SCS.0000000000004101. No abstract available. Chang CS, Swanson JW, Wilson A, Low DW, Bartlett SP. Columellar Reconstruction following Nasal Continuous Positive Airway Pressure Injury. Plast Reconstr Surg. 2018 Jan;141(1):99e-102e. doi: 10.1097/PRS.0000000000003978. Yao CA, Imahiyerobo T, Swanson J, Auslander A, De Cardenas D, Figueiredo JC, Mccullough M, Costa M, Vanderburg R, Magee WP 3rd. The Smile Index Part 1: A Large-Scale Study Of Phenotypic Norms For Pre- And Post-Operative Unilateral Cleft Lip. Plast Reconstr Surg. 2017 Sep 14. Mccullough M, Campbell A, Siu A, Durnwald L, Kumar S, Magee WP 3rd, Swanson J. Competency-Based Education In Low Resource Settings: Development Of A Novel Surgical Training Program. World J Surg. 2017 Sep 6. Doi: 10.1007/S00268-017-4205-2. Munabi NCO, Swanson JW, Auslander A, Sanchez-Lara PA, Davidson Ward SL, Magee WP 3rd. The Prevalence of Congenital Heart Disease in Nonsyndromic Cleft Lip and/or Palate: A systematic review of the literature. Ann Plast Surg. 2017. 79(2): 214-220. Chang CS, Swanson JW, Yu J, Taylor JA. Early, Computer-Aided Design/Computer-Aided Modeling Planned, LeFort 1 Advancement with Internal Distractors to Treat Severe Maxillary Hypoplasia in Cleft Lip and Palate. J Craniofac Surg. 2017. 28(4): 931-934. Swanson JW, Yu JW, Taylor JA, Kovach S, Kanchwala S, Lantieri L. The Retroauricular approach to the facial nerve trunk. J Craniofac Surg. 2017. 28(2): 347-351. Swanson JW, Yao CA, Auslander A, et al. Patient barriers to accessing surgical cleft care in Vietnam: A multi-site, cross-sectional outcomes study. World Journal of Surgery. 2017. 41(6): 1435-46. Epub DOI 10.1007/s00268-017-3896-8. Swanson JW, Aleman TS, Xu W, Ying G-S, Pan W, Liu GT, Lang SS, Heuer GG, Storm PB, Bartlett SP, Katowitz WR, Taylor JA. Optical coherence tomography can noninvasively detect elevated intracranial pressure in children. JAMA Ophthalmology. 2017. 135(4): 320-328. Swanson JW, Mitchell BT, Cohen M, Solot C, Jackson O, Low D, Bartlett SP, Taylor JA. The effect of Furlow palatoplasty timing on speech outcomes in submucous cleft palate. Annals of Plastic Sugery. 2017. 79(2): 156-161. Ligh CA, Swanson JW, Yu J, Samra F, Bartlett SP, Taylor JA. A Morphological Classification Scheme for the Mandibular Hypoplasia in Treacher Collins Syndrome. Journal of Craniofacial Surgery. 2017. 28(3): 683-687. Samra F, Bauder AR, Swanson JW, Whitaker LA, Bartlett SP, Taylor JA. Assessing the midface in Muenke syndrome: A cephalometric analysis and review of the literature. J Plast Reconstr Aesthet Surg. 2016. 69(9): 1285-90. Xu W, Gerety P, Aleman T, Swanson JW, Taylor JA. Noninvasive methods of detecting increased intracranial pressure. Childs Nerv Sys. 2016. 32(8): 1371-86. Swanson JW, Samra F, Bauder A, Mitchell BT, Taylor JA, Bartlett SP. An Algorithm for Managing Syndromic Craniosynostosis Utilizing Posterior Vault Distraction Osteogenesis. Plastic and Reconstructive Surgery. 2016. 137(5) 829e-841e. Yao CA, Swanson JW, Magee WP3, et al. Barriers to Reconstructive Surgery in Low- and Middle-Income Countries: A Cross-sectional Study of 453 Cleft Lip and Cleft Palate Patients in Vietnam. Plastic and Reconstructive Surgery. 2016. 138(5):887e-895e. Swanson JW, Haas JA, Chen SS, Heuer G, Taylor JA. The effects of molding helmet therapy on spring-mediated cranial vault remodeling for sagittal craniosynostosis. Journal of Craniofacial Surgery. 2016. 27(6):1398-1403. Chong DA, Swanson JW. The essential anatomic subunit approximation unilateral cleft lip repair. Plastic and Reconstructive Surgery. 2016. 138 (1): 91e-94e. Yao CA, Swanson JW, McCullough M, Taro T, Guitierrez R, Bradshaw A, Campbell A, Magee WM Jr, Magee WP3. The Medical Mission and Modern Core Competency Training: A 10-year Followup of Resident Experiences in Global Plastic Surgery. Plastic and Reconstructive Surgery. 2016. 138(3):531e-538e. Swanson JW, Mitchell BT, Wink JA, Taylor JA, Bartlett SP. Surgical classification of the mandibular deformity in craniofacial microsomia using 3-dimensional CT. Plastic and Reconstructive Surgery – Global Open. 2016. 4(1): e598. Swanson JW, Bartlett SP. Congenital ocular dystopia from orbitofrontal bone dysplasia. Plastic and Reconstructive Surgery. 2016; 137: 125e-134e. Ligh CA, Fox JP, Swanson JW, Yu JW, Taylor JA. Not all clefts are created equal: Patterns of hospital care utilization among children with cleft lip and palate within 4 years of surgery. Plastic and Reconstructive Surgery. 2016. 137(6): 990-998e. Swanson JW, Skirpan J, Stanek B, Kowalczyk M, Bartlett SP. A 30-year international pediatric craniofacial surgery partnership: Evolution from the “Third World” forward. Plastic and Reconstructive Surgery – Global Open. 2016. 4(4): e671. Swanson JW, Johnston JL, Mitchell BT, Alcorn K, Taylor JA. Perioperative complications in posterior pharyngeal flap surgery: Review of the National Surgical Quality Improvement Program Pediatric (NSQIP-PEDS) Database. Cleft Palate Craniofacial Journal. 2016. 53(5):562-7. Morrison SD, Swanson JW. Surgical justice. Plastic and Reconstructive Surgery. 2015; 136: 291e-292e. Mitchell BT, Swanson JW, Taylor JA. A new single-stage, distraction-mediated cranial vault expansion technique for the multisuture deformity. Journal of Craniofacial Surgery. 2015; 26(6): 1923-5. Tahiri Y, Swanson JW, Talyor JA. Distraction osteogenesis versus conventional fronto-orbital advancement for the treatment of unilateral coronal synostosis: A comparison of perioperative morbidity and short-term outcomes. Journal of Craniofacial Surgery. 2015; 26(6): 1904-8. Swanson JW, Oppenheimer A, Mufarrej F, Pet M, Arakawa C, Cunningham M, Gruss JG, Hopper RA, Birgfeld CB. Maternofetal trauma in craniosynostosis. Plastic and Reconstructive Surgery. 2015; 136: 214e-222e. Arko L, Swanson JW, Fierst TM, Henn RE, Chang D, Storm PB, Bartlett SP, Taylor JA, Heuer GG. Spring-mediated sagittal craniosynostosis treatment at the Children's Hospital of Philadelphia: technical notes and literature review. Neurosurg Focus. 2015; 38: E7. Swanson JW, Smartt JM, Saltzman BS, Birgfeld CB, Hopper RA, Gruss JS, Tse R. Adopted children with cleft lip and/or palate: a unique and growing population. Plastic and Reconstructive Surgery. 2014; 134: 283e-293e. Hopper RA, Tse R, Smartt J, Swanson JW, Kinter, SL. "Cleft palate repair and velopharyngeal dysfunction." Plastic and Reconstructive Surgery. 2014; 133: 852e-864e. Swanson JW, Watt AJ, Vedder NB. Refining the Indications for Collagenase Treatment of Dupuytren Contracture near Skin Grafts. (Reply.) Journal of Hand Surgery (American). 2013; 38: 1264-5. Swanson JW, Watt AJ, Vedder NB. Skin graft loss resulting from collagenase clostridium histolyticum treatment of Dupuytren contracture: case report and review of the literature. Journal of Hand Surgery (American). 2013. 38(3):548-51. Swanson JW, Otto AM, Gibran NS, Klein MB, Kramer CB, Heimbach DM, Pham TN. Trajectories to death in patients with burn injury. Journal of Trauma. 2013; 74(1):282-8. Redding GJ, Kuo W, Swanson JO, Phillips GS, Emerson J, Yung D, Swanson JW, Sawin RS, Avansino JR. Upper thoracic shape in children with pectus excavatum: Impact on lung function. Pediatric Pulmonology. 2013; 48(8): 817-23. Swanson JW, Colombani PC. “Reactive Pectus Carinatum in Patients Undergoing Repair for Pectus Excavatum.” Journal of Pediatric Surgery. 2008; 43 (8): 1468-73. Swanson, JW. “Unveiling the Invisible Hand: Explaining Pharmacies’ Participation in Public-Private Partnerships for Public Health in Vietnam.” Working Paper #77. 2006. Development Studies Institute, London School of Economics. Brastianos PK, Swanson JW, Torbenson M, Sperati J, Karakousis PC. “Tuberculosis-associated haemophagocytic syndrome.” The Lancet Infect Dis. 2006; 6(7): 447-54. Swanson, JW. Acid Attacks: Bangladesh’s Efforts to Stop the Violence. Harvard Health Policy Review. 2002. II(2): 85-91. Swanson, JW. Unnatural Disasters: Health Lessons from Honduras. Harvard International Review. 2000. 22(1): 32-35. Swanson JW, Taylor JA. Distraction of the cranial vault. In McCarthy J, ed. Craniofacial distraction. Springer. 2017: 203-227. Kotagal M, Swanson JW, Avansino J. “Correlating Haller Index and cardiopulmonary disease in pectus excavatum.” In Saxena, AK, ed., Chest Wall Deformities. Springer International. 2017. Swanson JW. Anatomical cadaveric dissection of flaps for facial cleft repair. In Carey J, ed. University of Southern California/Operation Smile International Flap Course Manual. 2016. USC Press. Swanson JW, Smartt JM, Taylor JA. Craniofacial distraction osteogenesis: Basic science. In Taylor JA and Goldstein J, eds. American Society of Craniofacial Surgeons Fellow Curriculum. 2014. Swanson JW, Klein MB. Upper Extremity Burns and Tissue Injuries. In Weiss APC, ed., Hand and Upper Extremity Surgery. American Society for Surgery of the Hand. 2014. Swanson, JW., ed. Interfaces of Dilemma in a Global Society: A Textbook of Briefings in International Policy. Cambridge, MA: Harvard Model Congress Europe, 2001. Swanson JW. Challenges in Developing Comprehensive Cleft Care in Nicaragua. International Symposium on Congenital Anomalies, Indonesian National Clinical Training and Education Centre. 28 July 2017. Jakarta, Indonesia. Swanson JW. Principalization of Anatomic Subunit Approximation of the Unilateral Cleft Lip. International Symposium on Congenital Anomalies, Indonesian National Clinical Training and Education Centre. 29 July 2017. Jakarta, Indonesia. Swanson JW. Completeness of Cleft Care in Low Resource Settings: Overview, and Orthognathic Surgery. Operation Smile Asia Regional NeXT Cleft-Craniofacial Conference. 13 July 2017. Manila, Philippines. Swanson JW. Conquering Oronasal Palatal Fistulas with the Buccal Myomucosal Flap. Operation Smile Asia Regional NeXT Cleft-Craniofacial Conference. 15 July 2017. Manila, Philippines. Swanson JW. Evidence-Based Comprehensive Cleft Care in Low-Resource Settings. Operation Smile Asia Regional NeXT Cleft-Craniofacial Conference. 14 July 2017. Manila, Philippines. Swanson MA, Swanson JW. Predictors of complication in cleft lip and palate surgery: Prospective outcome study in Nicaragua. American Cleft Palate-Craniofacial Association Annual Meeting. 15 March 2017. Colorado Springs, CO.
Swanson JW, Yao CA, Auslander A, Vanderburg R, Hatcher K, Magee WP3. Barriers to accessing surgical cleft care in Vietnam: A multi-site, cross-sectional outcomes study. 13th International Cleft Congress. 9 February 2017. Chennai, India. Alvarez EA, Swanson JW. Nasolabial fistula in cleft lip and palate: Burden of disease, and multi-center evaluation of a technique to prevent and treat. 13th International Cleft Congress. 9 February 2017. Chennai, India. Swanson JW, McCullough M, Magee WP3. Evidence-Based Comprehensive Cleft Care in Lower Resource Settings: A Systematic Review. 13th International Cleft Congress. 9 February 2017. Chennai, India. Swanson JW, Chong DA. Principalization of the Anatomical Subunit Approximation Technique of Unilateral Cleft Lip Repair. 13th International Cleft Congress. 9 February 2017. Chennai, India. Swanson MA, Swanson JW. Predictors of complication in cleft lip and palate surgery: Prospective outcome study in Nicaragua. 13th International Cleft Congress. 9 February 2017. Chennai, India. Swanson JW, Campbell A, Restrepo C, Desphande G. Correlating unilateral cleft lip severity with early aesthetic outcomes: An international study of 500 patients. 13th International Cleft Congress. 9 February 2017. Chennai, India. Munabi NCO, Swanson JW, Auslander A, Sanchez PA, Ward SL, Magee WP3. Prevalence of Congenital Heart Disease in Nonsyndromic Cleft Lip and/or Palate: A Systematic Review of the Literature. 13th International Cleft Congress. 9 February 2017. Chennai, India. Swanson JW, Xu W, Aleman T, Ying GS, Pan W, Liu G, Lang SS, Gerety P, Heuer G, Storm P, Bartlett S, Katowitz W, Taylor J. Patterns of Intracranial Pressure in Children with Craniosynostosis utilizing Optical Coherence Tomography. American Society of Craniofacial Surgeons. 23 January 2017. Wailea, Hawaii. Swanson JW. Principalization of the unilateral cleft lip repair by Anatomic Subunit Approximation (Fisher) technique. Cleft Outcomes Educational Conference. Operation Smile Nicaragua. 11 November 2016. Managua, Nicaragua. Swanson JW. Treating craniosynostosis with emphasis on functional results. La Mascota National Pediatric Hospital, Surgical grand rounds. 19 October 2016. Managua, Nicaragua. Swanson JW. Advances in global surgery and opportunities for Shriners Cleft Care. Shriners Hospital International Cleft Care Summit. 26 September 2016. Los Angeles, CA. Swanson JW. Complete surgical cleft care: Launching an orthognathic program in Nicaragua. American Society of Plastic Surgeons Annual Meeting. 25 September 2016. Los Angeles, CA. Swanson JW. Oncoplastic principles for breast reconstruction. 1st Davao-Singapore International Breast Conference. 23 September 2016. Davao City, Philippines. Swanson JW. Surgical treatment for skeletal dysplasias. National Orthodontic Symposium, Universidad Nacional Autonomo de Nicaragua-Leon. 18 August 2016. Leon, Nicaragua. Swanson JW, Xu W, Aleman T, Ying GS, Pan W, Liu G, Lang SS, Gerety P, Heuer G, Storm P, Bartlett S, Katowitz W, Taylor J. Optical Coherence Tomography can Noninvasively Detect Elevated Intracranial Pressure in Children. American Association of Plastic Surgeons. 21 May 2016. New York City, NY. Yao CA, Swanson JW, Imahiyerobo T, Auslander A, DeCardenas DF, Costa M, Figueiredo JC, Vanderburg R, Magee WP3. A simple, prognostic severity scale for unilateral cleft lip. Plastic Surgery Research Council. 20 May 2016. New York City, NY. Yao CA, Swanson JW, Imahiyerobo T, Auslander A, DeCardenas DF, Costa M, Figueiredo JC, Vanderburg R, Magee WP3. Phenotypic Norms for Unilateral Cleft Lip Pre- and Post-Operatively: A Large-scale, multicultural study of facial morphology and severity. American Association of Plastic Surgeons. 20 May 2016. New York City, NY. Swanson JW, Yao CA, Auslander A, Vanderburg R, Hatcher K, Magee WP3. Barriers to accessing timely surgical cleft care: A multi-site, cross-sectional outcomes study in Vietnam. Royal College of Surgeons Ireland Annual Congress. 22 April 2016. Dublin, Ireland. Swanson JW. Cleft palate: principles, objectives, and repair techniques. Operation Smile Cleft Educational Symposium. 8 April 2016. Antananarivo, Madagascar. Xu W, Swanson JW, Aleman T, Ying GS, Pan W, Liu G, Lang SS, Gerety P, Heuer G, Storm P, Bartlett S, Katowitz W, Taylor J. Optical Coherence Tomography and Elevated Intracranial Pressure in Children. American Cleft Palate-Craniofacial Association. 6 April 2016. Atlanta, GA.
Yao CA, Swanson JW, Imahiyerobo T, Auslander A, DeCardenas DF, Costa M, Figueiredo JC, Vanderburg R, Magee WP3. A simple, prognostic severity scale for unilateral cleft lip. American Cleft Palate-Craniofacial Association. 6 April 2016. Atlanta, GA.
Swanson JW, Yao CA, Auslander A, Vanderburg R, Hatcher K, Magee WP3. Barriers to accessing timely surgical cleft care: A multi-site, cross-sectional outcomes study in Vietnam. American Cleft Palate-Craniofacial Association. 6 April 2016. Atlanta, GA.
Yao CA, Swanson JW, Imahiyerobo T, Auslander A, DeCardenas DF, Costa M, Figueiredo JC, Vanderburg R, Magee WP3. Phenotypic Norms for Unilateral Cleft Lip Pre- and Post-Operatively: A Large-scale, multicultural study of facial morphology and severity. American Cleft Palate-Craniofacial Association. 6 April 2016. Atlanta, GA.
Yao CA, Swanson JW, Auslander A, Vanderburg R, Hatcher K, Magee WP3. Barriers to Reconstructive Surgery in Low- and Middle-Income Countries: A Cross-sectional Study of 453 Cleft Lip and Cleft Palate Patients in Vietnam. American Cleft Palate-Craniofacial Association. 6 April 2016. Atlanta, GA.
Munabi NCO, Swanson JW, Auslander A, Sanchez PA, Ward SL, Magee WP3. Prevalence of Congenital Heart Disease in Nonsyndromic Cleft Lip and/or Palate: A Systematic Review of the Literature. American Cleft Palate-Craniofacial Association. 6 April 2016. Atlanta, GA.
Swanson JW. Nasolabial fistulas and the nasal floor. Summit on Understanding and Addressing Cleft Outcomes in Latin America. 4 March 2016. Asuncion, Paraguay. Bauder AR, Wink JD, Swanson JW, Derderian C, Bartlett SP, Taylor JA. An analysis of posterior vault distraction and its effects on the posterior fossa and cranial base. American Society of Plastic Surgeons. 25 September 2015. Boston, MA. Samra F, Swanson JW, Mitchell BT, Bauder AR, Taylor JA, Bartlett SP. Posterior vault distraction conveys anterior benefit in Apert syndrome. American Society of Plastic Surgeons. 25 September 2015. Boston, MA. Ligh CA, Swanson J, Yu J, Samra F, Bartlett SP, Taylor JA. A morphological classification scheme for mandibular hypoplasia in Treacher-Collins syndrome. American Society of Plastic Surgeons. 25 September 2015. Boston, MA. Bauder AR, Mitchell BT, Swanson JW, Taylor JA, Bartlett SP. Long-term growth of costochondral grafts in mandibular reconstruction for craniofacial microsomia. American Society of Plastic Surgeons. 25 September 2015. Boston, MA. Swanson JW, Xu W, Aleman T, Mitchell B, Wes A, Chen SS, Bender L, Heuer G, Katowitz W, Bartlett S, Taylor J. Optical Coherence Tomography can detect intracranial hypertension in young children with craniosynostosis. American Society of Plastic Surgeons. 25 September 2015. Boston, MA. Samra F, Swanson JW, Mitchell B, Bauder AR, Wes A, Bartlett SP, Taylor JA. An evidence-based algorithm for managing syndromic craniosynostosis in the era of posterior vault distraction osteogenesis. American Society of Plastic Surgeons. 25 September 2015. Boston, MA. Ligh CA, Fox JP, Swanson JW, Yu JW, Taylor JA. Not all clefts are created equal: Patterns of hospital care utilization among children with cleft lip and palate within 4 years of surgery. American Society of Plastic Surgeons. 25 September 2015. Boston, MA. Bartlett SP, Swanson JW. Surgical classification of the mandibular deformity in craniofacial microsomia using 3-dimensional CT. International Society of Craniofacial Surgeons. 14 September 2015. Tokyo, Japan. Swanson JW, Taylor JA. An Algorithm for Managing Syndromic Craniosynostosis Utilizing Posterior Vault Distraction Osteogenesis. International Society of Craniofacial Surgeons. 14 September 2015. Tokyo, Japan. Swanson JW, Haas JA, Taylor JA, Bartlett SP. The effects of molding helmet therapy on spring-mediated cranial vault remodeling for sagittal craniosynostosis. International Society of Craniofacial Surgeons. 14 September 2015. Tokyo, Japan. Taylor JA, Tahiri Y, Swanson JW. Distraction osteogenesis versus conventional fronto-orbital advancement for the treatment of unilateral coronal synostosis: A comparison of perioperative morbidity and short-term outcomes. International Society of Craniofacial Surgeons. 14 September 2015. Tokyo, Japan. Swanson JW, Gerety P, Bartlett SP. Sphenoid dysplasia in neurofibromatosis: Patterns of presentation and outcomes of treatment. International Society of Craniofacial Surgeons. 14 September 2015. Tokyo, Japan. Ligh CA, Swanson J, Yu J, Samra F, Bartlett SP, Taylor JA. A morphological classification scheme for mandibular hypoplasia in Treacher-Collins syndrome. International Society of Craniofacial Surgeons. 14 September 2015. Tokyo, Japan. Swanson JW, Taylor JA. Treatment of metopic synostosis with novel fronto-orbital distraction osteogenesis technique. International Society of Craniofacial Surgeons. 14 September 2015. Tokyo, Japan. Samra F, Swanson JW, Mitchell BT, Bauder AR, Taylor JA, Bartlett SP. Anterior benefits of posterior vault distraction in Apert syndrome patients. International Society of Craniofacial Surgeons. 14 September 2015. Tokyo, Japan. Wink JD, Bauder AR, Swanson JW, Derderian C, Bartlett SP, Taylor JA. An analysis of posterior vault distraction and its effects on the posterior fossa and cranial base. International Society of Craniofacial Surgeons. 14 September 2015. Tokyo, Japan. Mitchell BT, Bauder AR, Swanson JW, Taylor JA, Bartlett SP. Growth of costochondral rib grafts in mandibular reconstruction for craniofacial microsomia. International Society of Craniofacial Surgeons. 14 September 2015. Tokyo, Japan. Samra F, Swanson JW, Taylor JA, Bartlett SP. Cephalometric analysis of midface growth patterns in patients with Meunke syndrome. International Society of Craniofacial Surgeons. 14 September 2015. Tokyo, Japan. Chang C, Swanson JW, Taylor JA. Early LeFort 1 distraction advancement in young patients for correction of midface hypoplasia. International Society of Craniofacial Surgeons. 14 September 2015. Tokyo, Japan. Swanson JW, Xu W, Aleman T, Mitchell B, Wes A, Chen SS, Bender L, Heuer G, Katowitz W, Bartlett S, Taylor J. Optical Coherence Tomography can detect intracranial hypertension in young children with craniosynostosis. International Society of Craniofacial Surgeons. 14 September 2015. Tokyo, Japan. Swanson JW, Chong DA. Principalization of the unilateral cleft lip repair using the anatomic subunit approach. Operation Smile NeXT Global Conference. 7 June 2015. Virginia Beach, VA.
Swanson JW, Mackay DD, Ilbawi AM. Task shifting and task sharing for surgery in low-resource settings: A meta-analysis. Operation Smile NeXT Global Conference. 7 June 2015. Virginia Beach, VA.
Swanson JW, Aleman T, Mitchell B, Chen SS, Heuer G, Katowitz W, Bartlett S, Taylor J. Diagnosis of elevated intracranial pressure in children with craniosynostosis using Optical Coherence Tomography. Plastic Surgery Research Council. 28 May 2015. Seattle, WA. Swanson JW, Mitchell BT, Cohen M, Taylor JA, Bartlett SP, Low D. Timing of palatoplasty and speech outcomes in submucous cleft palate. American Cleft Palate Association. 24 April 2015. Palm Springs, CA. Mitchell BT, Swanson JW, Gerety P, Taylor JA. The CHOP Cleft App: An Ipad-based application for teaching and learning cleft repair techniques. American Cleft Palate Association. 24 April 2015. Palm Springs, CA. Tomlinson-Hansen S, Mitchell BT, Swanson JW, Taylor JA. Outcomes assessment of growth patterns for micrognathia treatment with mandibular distraction osteogenesis versus tongue-lip adhesion. American Cleft Palate Association. 24 April 2015. Palm Springs, CA. Swanson JW, Aleman T, Mitchell B, Chen SS, Heuer G, Katowitz W, Bartlett S, Taylor J. Optical Coherence Tomography to detect elevated intracranial pressure in young children with craniosynostosis. American Cleft Palate Association. 24 April 2015. Palm Springs, CA. Swanson JW, Mitchell BT, Taylor JA. Perioperative complications in posterior pharyngeal flap surgery: Review of the National Surgical Quality Improvement Program Pediatric (NSQIP-PEDS) Database. American Cleft Palate Association. 24 April 2015. Palm Springs, CA. Samra F, Swanson JW, Taylor JA. Cephalometric analysis of midface growth patterns in patients with Meunke syndrome. American Cleft Palate Association. 24 April 2015. Palm Springs, CA. Swanson JW, Samra F, Mitchell BT, Wes A, Bartlett SP, Taylor JA. An evolved algorithm for managing syndromic craniosynostosis in the era of posterior vault distraction osteogenesis. American Association of Plastic Surgeons. 11 April 2015. Poster presentation. Scottsdale, AZ. Swanson JW, Bender L, Mitchell BT, Heuer G, Katowitz W, Taylor JA. Optical coherence tomography: A new modality for detecting papilledema in craniosynostosis patients with suspected intracranial hypertension. American Association of Plastic Surgeons. 11 April 2015. Poster presentation. Scottsdale, AZ. Swanson JW. Disruptive change in cleft and craniofacial surgery: past, present, and future. University of Pennsylvania Division of Plastic Surgery, Grand Rounds. January 28, 2015. Philadelphia, PA.